Genmab has announced positive results from its Phase 3 POLLUX study investigating the efficacy of daratumumab, in combination with lenalidomide and dexamethasone, to treat patients with relapsed or refractory multiple myeloma, compared to lenalidomide and dexamethasone alone. The ongoing trial met its primary endpoint, with treated patients demonstrating improved progression-free survival, indicating that the drug may reduce the risk of disease progression. Daratumumab (Darzalex), the first human monoclonal antibody (mAb) approved by the U.S. Food and Drug Administration (FDA) to treat multiple myeloma, binds with high affinity to CD38, a highly expressed molecule on the surface of multiple myeloma cells. 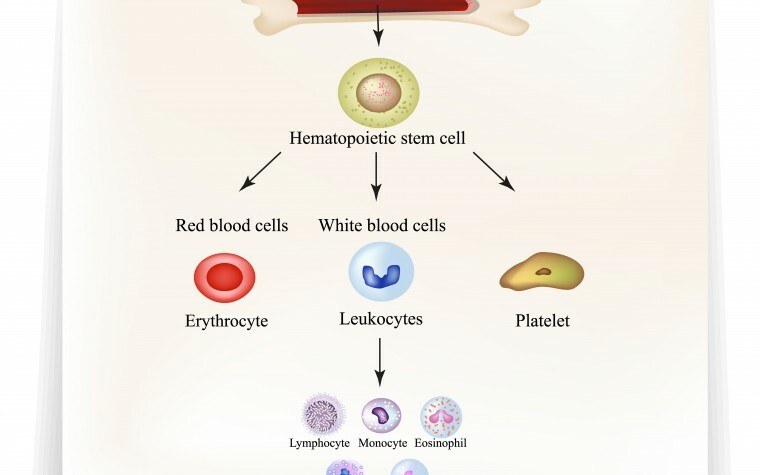 Its mechanism of action is believed to lead to the rapid tumor cell death. Darzalex injection for intravenous infusion is indicated in the U.S. for the treatment of patients with multiple myeloma who have received at least three previous types of therapy, including a proteasome inhibitor (PI) and an immunomodulatory agent, or who are double-refractory to a PI and an immunomodulatory agent. Daratumumab is being developed by Janssen Biotech, Inc., which licensed the antibody from Genmab in 2012. 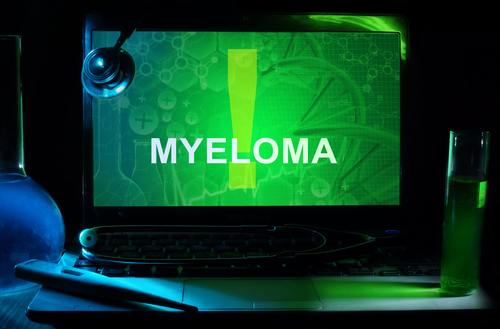 The ongoing POLLUX study, titled “A Study Comparing Daratumumab, Lenalidomide, and Dexamethasone With Lenalidomide and Dexamethasone in Relapsed or Refractory Multiple Myeloma” (NCT02076009), enrolled 569 people with relapsed or refractory multiple myeloma. The patients randomized to the daratumumab treatment arm had a 63% reduction in the risk of disease progression, and improved progression-free survival (PFS) compared to those given lenalidomide and dexamethasone alone. Median PFS for patients treated with the daratumumab combination has not been reached, compared to an estimated median PFS of 18.4 months in control patients. Moreover, the safety profile of the triple therapy was manageable and consistent with previous knowledge of lenalidomide and dexamethasone therapy. A pre-planned interim analysis, conducted by an Independent Data Monitoring Committee (IDMC), recommended the data be unblinded. Patients originally randomized to the lenalidomide plus dexamethasone group will be offered the option of daratumumab monotherapy upon confirmed disease progression. The trial is expected to conclude in May 2017. “The POLLUX study is the second key Phase III study of daratumumab to meet the primary endpoint at a pre-planned interim analysis and demonstrates a favorable benefit-risk ratio. We have now seen that daratumumab can potentially be used to effectively treat relapsed or refractory multiple myeloma in combination with either lenalidomide or bortezomib, two standard of care multiple myeloma treatments,” Dr. Jan van de Winkel, chief executive officer of Genmab, said in a news release. Further efficacy and safety analysis will be performed and shared with health and regulatory authorities. Researchers will also present further trial results at the 21st Congress of the European Hematology Association (EHA), set for June 9–12 in Copenhagen, and plan to publish results in a peer-reviewed journal. Tagged daratumumab, DARZALEX, dexamethasone, Genmab, Janssen Biotech, lenalidomide, Phase III POLLUX study, refractory multiple myeloma, relapsed multiple myeloma.